The home was created by the hands of a master with each window intricately creating a new view of the lake. Giant doors lead you onto a deck where you'll find a hot tub that you can soak in after your daily activities. At night the sky is so black, you'll feel like you're sitting under an umbrella of stars. The night is so peaceful you can hear the fish in the water. You'll be located at an elevation of 9000 feet somewhere in the vicinity of the gods. The interior is very comfortable with all luxurious amenities that will connect you back to the real world. Now that you've found the perfect place to visit, look no further for a place to stay. You can walk out and fish for brook trout in the backyard. We have a canoe you can take out to fish the lake. It is a private lake so you won't see many others. 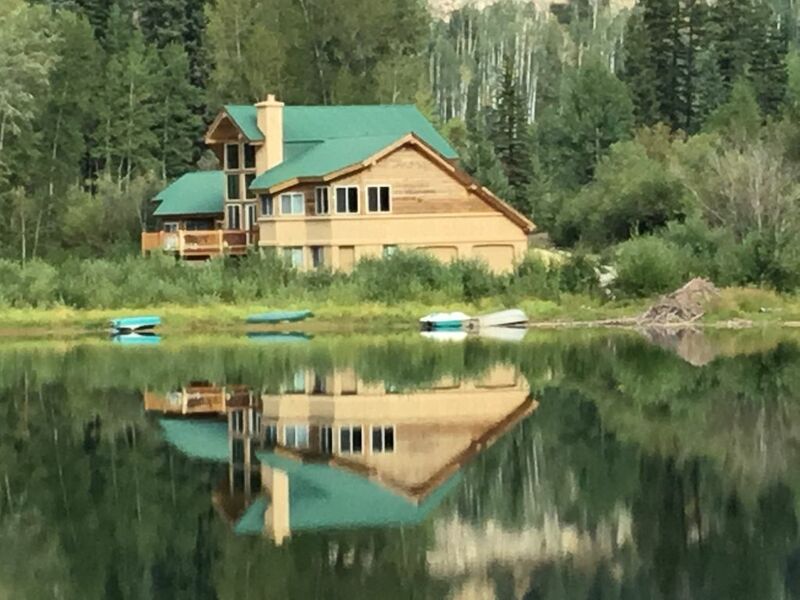 Summer is the busy season in Durango, you can ride the train, hike, bike, bobsled at the ski area across the street, horseback riding, gold panning or rest and read a book. We are 26 miles north of Durango. If you have any questions please feel free to call. Experience Durango, Colorado. Create family memories in an open atmosphere. The home has a more beautiful location than can be photographed. Lake views from all windows. Beautiful views of mountains line the lake. Many Videos available to view. Private Hot tub on deck overlooking the lake.